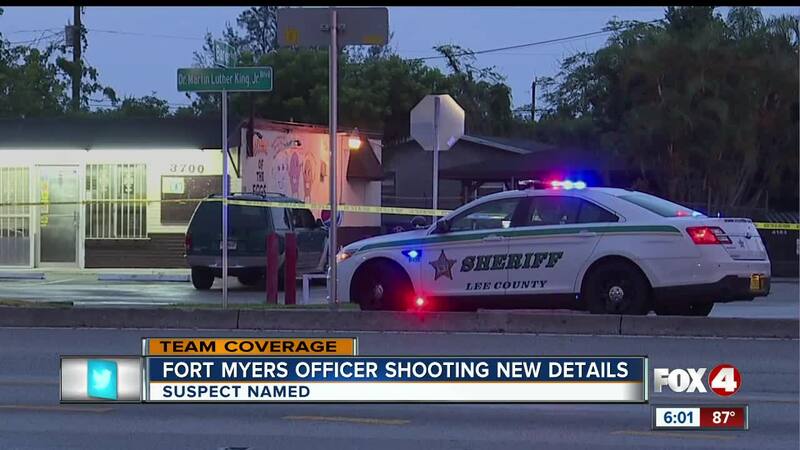 FORT MYERS, Fla. -- At an emotional press conference in Fort Myers Monday, Fort Myers Police Chief Derrick Diggs announced that a suspect in the shooting of an officer Saturday night is in police custody at Lee Memorial Hospital. 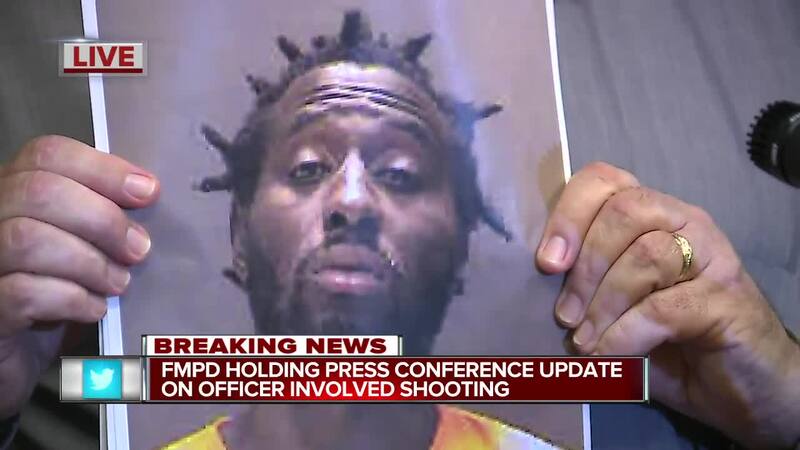 "We got our guy, we got our man," said Chief Diggs. Desmaret then returned to the gas station, where he was struck by officer's gunfire and taken into custody. “I say, you know, 'hey buddy what's going on are you ok? ', 'cause I didn't know if he was fighting with somebody on the outside, I didn't know that the police was around you know?” Chelzer says the man then took off and the police came in to the station. Desmarat also siffered a gunshot wound and is being treated. Chief Diggs also said he expects Desmarat to face multiple charges once being released from the hospital.